Tenuta Pertinello is located in a magnificent part of the Bidente valley, on the border between the towns of Galeata and Civitella in Romagna. 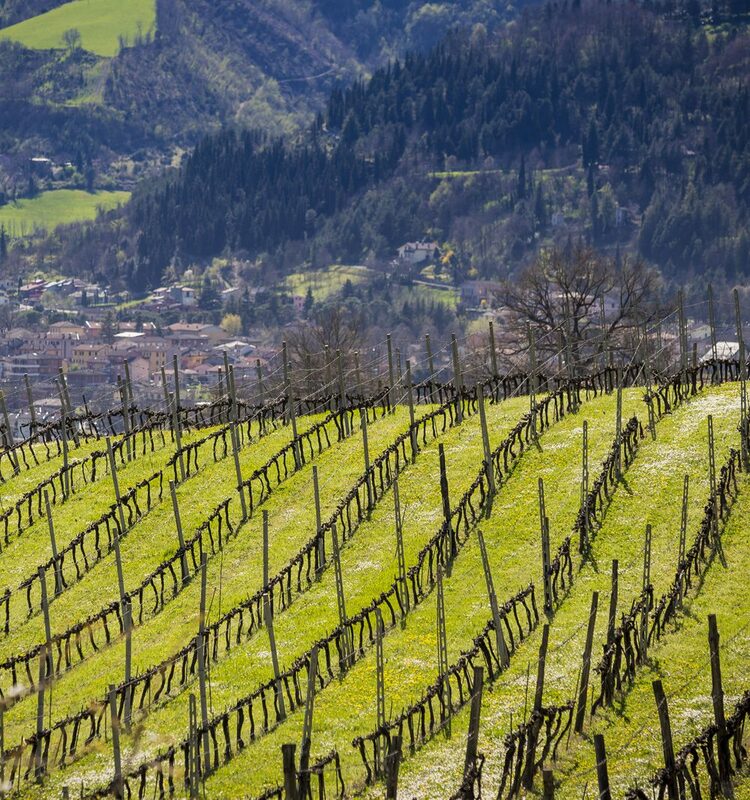 However, when one walks through the rows of vines or descends into the cellar, an impression is gained of being somewhere undefined, partly in Tuscany and in part in Trentino. And indeed, Tenuta Pertinello embodies features common to these three places, all suited to wine production. The character of Romagna and its attachment to the land are clearly present. It shows a strong likeness with Trentino, where you meet people who are taciturn yet impassioned and whose commitment and dedication to work are not lacking. The green hills of the Bidente Valley were part, at one time, of the Grand Duchy of Tuscany and, until 1923, the province of Florence. The Florentine influence has dominated the history of the area and is still present in the buildings which remain. Tuscany is in any case not far, as can be seen in the landscape: the Tenuta lies only a few kilometres from the Casentino Forests National Park, Monte Falterona and Campigna. In fact, the oenologist at Tenuta Pertinello is a Tuscan, Fabrizio Moltard, and his presence strengthens the Tuscan culture and tradition inevitably reflected in wines produced by the vineyard. 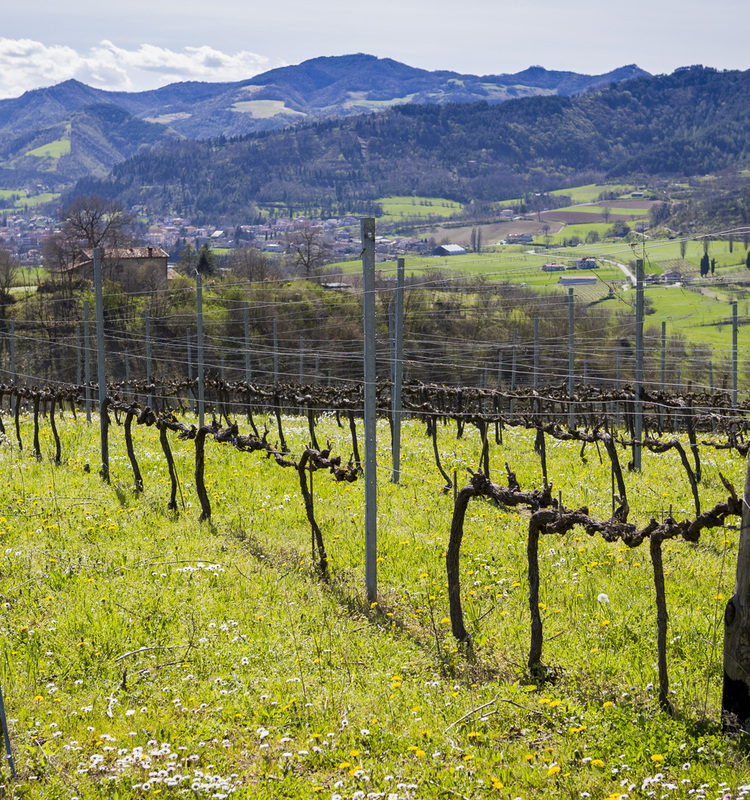 The Tenuta is a true oasis, far from traffic and urban settlements and surrounded by forests of oak and black hornbeam. Wooded areas with natural water sources interrupted by vineyards and meadows which in the spring turn into spectacularly floral expanses. The rolling hills which surround the Tenuta have abrupt outcrops of stratified galestro marl and sandstone, producing a landscape to be admired in all seasons and an ideal and protected habitat for deer, foxes, porcupines, hares, squirrels and other wildlife in which they live and reproduce in freedom.